The world's most popular New Year's resolution is to work out more, which is good for the health. But fortunately many of them also contain things that make us enjoy life a little bit more. Maybe some of your plans include spending more time surrounded by nature? To finally start meditating or doing yoga (for real this time), learning how to cook or just to keep your houseplants alive for more than a week? Here are five books that could be helpful along the way — and unlike your training membership, they'll be looking pretty on your living room table all year around. Description by New Mags: This tome is full of blooming houseplants that will make you crave more greenery at home. But how do you take care of the plants? Don’t worry, in this book you’ll find easy and concise care instructions for over 50 elegant houseplants. Description by New Mags: TASCHEN has found the most exquisite and inspirational yoga retreats around the world; choose from an exotic luxury hotel in Bhutan, a spiritual ashram in India, a farmhouse in Tuscany or a beach resort in Mexico. But be warned, yoga can easily become a way of life. You might find yourself planning your holidays around yoga practice! Description by New Mags: Expect advice on everything from starting a bar to rolling out a restaurant chain or penning a cookbook. 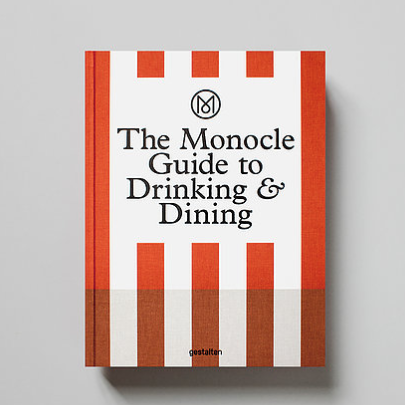 There are also recipes from Monocle’s favourite restaurants, plus a selection of timetested dishes developed by the team in Monocle’s London kitchen. Description by New Mags: Bike trails, walking paths, woodcrafts. Anything and everything to experience the forest, both architectural and intangible. With profiles and essays that inspire us to step off the beaten path and photographs that bring the experience home, Wildsideis the guide to modern outdoor activities. Obi Kaufman’s works of poetry and illustration echo the feeling and vibrations of the California wilderness. Description by New Mags: Cultivate your wanderlust with this visual journey to the most beguiling get-aways in the world. The architecture, interiors, and creative details of the featured locations contribute to each destination’s charm, and highly individualized service guarantees an unforgettable experience.